During the early 1990s, Formula one was booming by many investors. 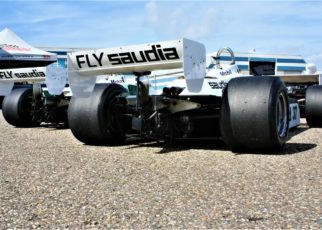 Commercial managers from companies saw the opportunity to gain much more customers and money by investing in the Formula One. It is one of the main reasons so many new teams were announced in the media, and tried their luck in the Formula One. One of these teams was the Mexican GLAS F1 team from Fernando González Luna. Luna was a young business man whose idea was to create an all Mexican Formula One team, and become also active in the newly formed Mexican F3 championship. GLAS F1, which stands for Gonzalez Luna Associates, appeared for the first time in the paddock around August 1989. The team came with an announcement that they were preparing an entry for the 1991 season. 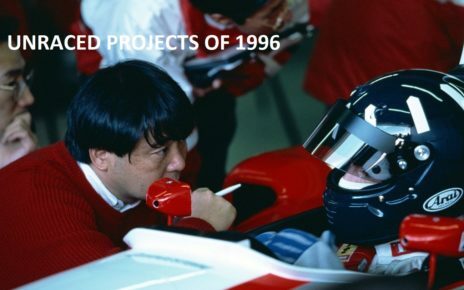 In a November edition of Motoring News in 1989, an article appeared about the teams plan for an intensive testing program in 1990. Giovanni Aloi would test the newly designed GLAS 001 at Imola, Monza, Hockenheim and the Estoril track. Prior to make their entry in 1991. The GLAS F1 team would been run by a former Italian journalist named Leopoldo Canettoli. While Mauro Forghieri, a former Ferrari engineer, designed the suspension and the gearbox. Mario Tollentino from Lamborghini was one of the main designers of the chassis, and probably the person behind the smoothly designed side pods. The Lamborghini V12 engine would power the car. In addition, Pemex was announced as the teams’ main sponsor. You could conclude that the team’s future looked bright full. In June 1990 Autosprint (edition June 25 1990) visited Lambo’s factory at Modena, Italy, just before the Mexican GP. 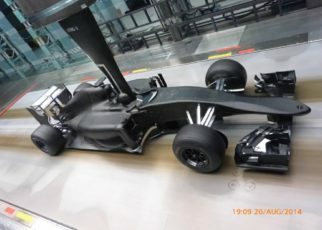 The GLAS 001 was nearly ready, as it would been shown to the world at the Mexican GP. 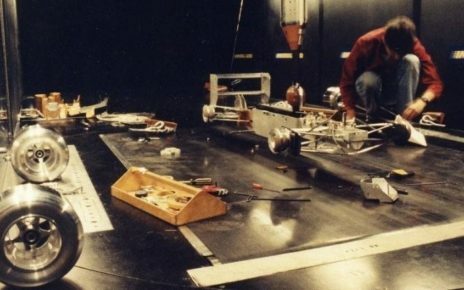 However on the 24th of June 1990 there was no car send to the Mexican GP, as the car was shipped from Modena to Paris to be flew to Mexico, Mr. Luna vanished in thin air. As the management of Lamborghini preferred to save money, they carried the car back to Modena. It meant that no GLAS F1 Team presentation happened. While it was said that Luna paid everything until the 10th of July the rumours started that he went bankrupt, it would appear a bit different. While there were some struggles intern, the GLAS F1 team had their first test at Imola. Instead of Aloi Mauro Baldi was the lucky one to test the brand new car. 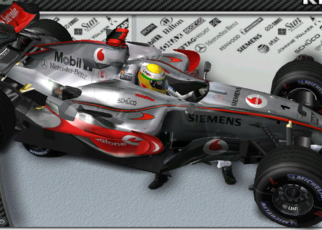 The test went very well, unless a crash of Baldi, Baldi’s drove 68 laps and his fastest lap was 1,31:851 with a max. Speed of 301 KM/H. To show the cars potential. The fastest lap during the San Marino GP was a 1,27:156 by Nannini. However, after the 10th of July there was still no sign of Mr. Luna and due the Lamborghini factory came already this far with the chassis design and already had a good engine they decided to keep the GLAS project alive. There were several rumours of other Mexicans to take over the GLAS F1 project one of them were the Abed Brothers, they owned the Mexico City circuit and could use the team as a publicity stunt. Also from Italian side, there was interest to take over the project. Carlo Patrucco, an Italian industrialist and former boss of Fila, was interested to take over GLAS F1 cars for his newly formed Modena Team. 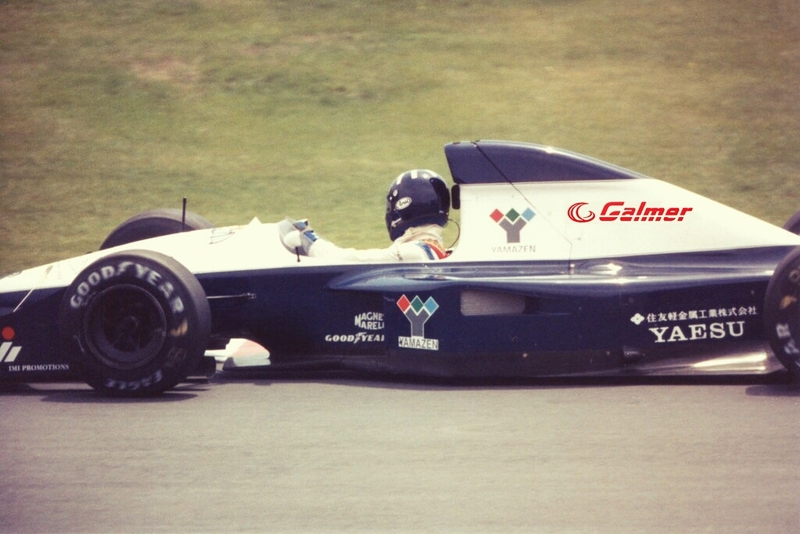 In July 1990 Carlo Patrucco bought the GLAS F1 team and due the fact that Lamborghini didn’t want to be the team a works team, the team changed his name to Modena Team SPA. (Officially Scuderia Modena), however as the team was already know as the Lambo team, Fans and officials kept the Lambo name. Nicola Larini and Eric van de Poele would drive the Lambo 291 . It has been said that Fernando González Luna is on the list from Fernando González Luna, he has been connected with, lets say dubious deals. Footage of the GLAS F1 001 testing at Imola, with Mauro Baldi behind the wheel.